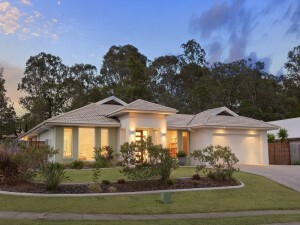 A Brisbane couple get a house for Christmas! Christmas can be stressful at the best of times but trying to get a loan unconditionally approved in less than a week is like trying to move a mountain. A Brisbane couple found themselves in that exact situation when they were gazumped by another buyer for $30,000 and needed finance fast so that they didn’t miss out on their dream home. Luckily our mortgage brokers are super skilled in getting tough loans approved. 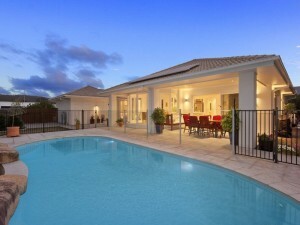 At the end of last year, Brisbanites Julie and James began the hunt for their very first home. They started their search on the right foot by getting a pre-approval first, giving mortgage brokers everywhere a collective sigh of relief. Trying to get a home loan formally approved between making an offer on a home and the cut off date for finance (as stipulated in the Contract of Sale) is dangerous and could cost you your chance at owning your own home. 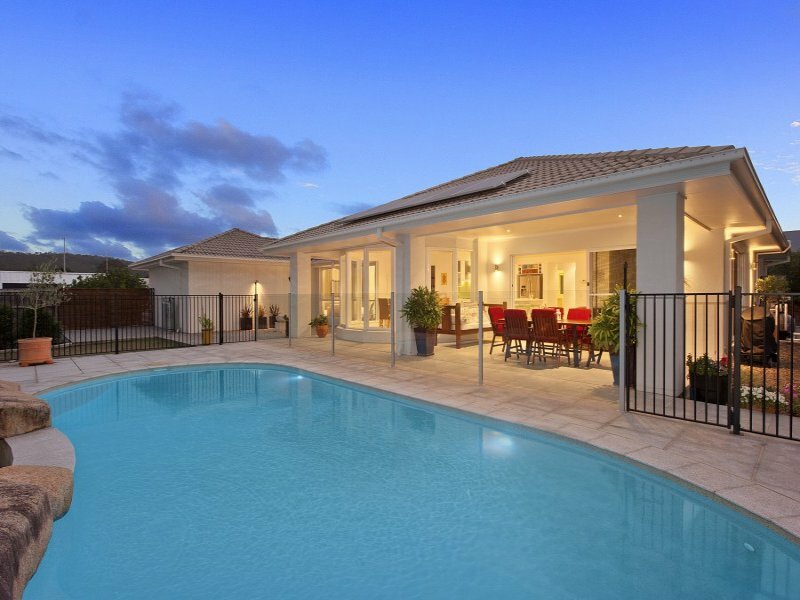 Just two weeks before Christmas, Julie and James found what they were looking for; a beautiful 4-bedroom house with a pool just northwest of Brisbane. At the $800,000 mark, it was quite an expensive first property but James and Julie were earning the income required to make it work and, more importantly, they were supported by their pre-approval. They put down their deposit and were ready to begin the formal approval process with their bank. Boom! Biff! Out of nowhere a new player enters the deal to stir things up, offering $30,000 more to the vendor (seller). This was Thursday, less than a week before Christmas Eve. Julie and James were told by the vendor that if they did not meet finance by 12:00 pm on the cut off date of Christmas Eve, the lenders would pull out of the contract and go with the new buyers. Now, in most cases, Julie and James could have told their bank that they’d found a property and, with a proper valuation and re-assessment of their situation, the lender would likely have lent them the $30,000 for them to buy the property. Unfortunately, there was one little problem. Despite having a pre-approval and being on good income, James changed jobs prior to finding the property and getting unconditional approval for the mortgage. Unfortunately, this went against the lending policy of the bank, which required that applicants be in their job for at least 6 to 12 months before the lender would even consider an application. Julie and James’ pre-approval wasn’t worth the paper it was written on! With only a week to get unconditional approval, they almost lost hope of getting approved for a loan to purchase the property. Luckily for James and Julie, they had heard about Home Loan Experts through friends and family and decided to give us a call. Senior mortgage broker Grant Martin was able to quickly assess their situation and find the couple a loan for 90% of the property value (LVR) with a lender that would accept a short-term employment history (less than 6 months in the same job). The hard part now was getting the valuation completed on time. Because it was so close to Christmas, lenders, including their valuation teams, were working on skeleton crew which meant a valuation couldn’t be booked in until Christmas Eve. This wouldn’t have allowed enough time for Grant to get the unconditional approval back from the lender and to the solicitor’s office by Wednesday midday, when the office was closing early due to Christmas. Thankfully, one of the credit analysts Grant was speaking with took ownership of the loan and the date of the valuation was brought forward to the day before Christmas Eve, or Tuesday 23 December. Now, it normally takes 24 to 48 hours to send a valuation back to the bank but, thanks to Grant’s relationships with the credit departments of that particular lender, they said they were going to send through the valuation report on the same day. The valuation report was sent back to the lender and signed off that same evening. On Wednesday morning, Grant had until midday to get the unconditional letter to the solicitor’s office. The letter came through at 11:30am! Grant got their application approved and James and Julie are enjoying their new place. Julie and James scooped up the property in the nick of time (no pun intended) and were able to enjoy the Christmas break in their very own home! If they had tried to get their loan approved with another lender, it would not only have been difficult for them to find a lender that would accept James’ employment situation, but they would have also added unnecessary enquiries to their credit file, further diminishing their chances of getting approved for a loan. Other brokers wouldn’t have been able to get the deal over the line in the timeframe required. Most lenders also wouldn’t have worked hard enough or fast enough to get Julie and James’ loan unconditionally approved. Grant and the other senior mortgage brokers at Home Loan Experts have the experience and the relationships with the decision makers at the major banks and Australia’s top lenders to work wonders. Are you ready to start looking for a property and need a pre-approval? Get in touch with one of our brokers by calling 1300 889 743 or by filling in our free assessment form today! A professional real estate agent turned against the vendor and helped a friend of mine save thousands off a Lakemba property. Are ready to buy a property? After his divorce, Matt wanted to start again but his home loan application gets declined because of his living expenses. How did he get approved? Discover how senior mortgage broker Mike Dogan was able to get a couple approved for a home loan despite one of them being in casual employment. Samantha was looking for a 95% home loan with just a 5% deposit. Discover how Home Loan Experts mortgage broker Amine Berrada was able to help. Anna didn't have the necessary documents to get her loan approved. Discover how Home Loan Experts mortgage broker Azita Bokan was able to help. Johnny & Christine wanted to buy a turf farm but seemed only high interest lenders could help. Luckily, mortgage broker Dean Frith found a cheaper solution. An Australian citizen and his New Zealand wife were knocked back for a home loan when the bank wouldn't accept her foreign income. A mortgage broker helped. Can you get home loan approval using work cover income? Discover how Home Loan Experts mortgage broker Kameron Guiterrez was able to help. Don't let a default hold you back from buying your dream home. Find out how Home Loan Experts mortgage broker Nirayu Shakya got them approved. Having less than 12 months' work history can reduce your home loan borrowing power. Discover how a Sydney couple bought their first home. How did an Australian couple manage to get their land and construction loan approved despite a mortgage application blunder? Michelle didn't realise her casual employment would see her home loan declined. Discover how Home Loan Experts mortgage broker Manish Rana was able to help. Do you want to refinance your home loan and consolidate debt but can't because you have a judgment on your credit file? There are ways to get approved. Many banks restrict lending when it comes to stratum title properties but Stuart was able to buy his new home with help from an experienced mortgage broker. Some new paint, floorboards and a good clean helped turn a horror home into a classy inner-city apartment. Read Nick’s story. An Australian expat got his mortgage refinanced despite having transitioned from PAYG to self employed less than 6 months earlier. How did he do it? Ben had done very well for himself investing in a managed fund but the bank would only use a small amount of his dividend income for a home loan.